Now heading into its third edition, Coaching Youth Soccer continues to be an excellent introduction to sport-specific youth coaching. This book contains chapters on teaching and shaping skills, communicating with and motivating players, dealing with parents, game-day coaching, rules and equipment, and season plans for organizing practices throughout the year. 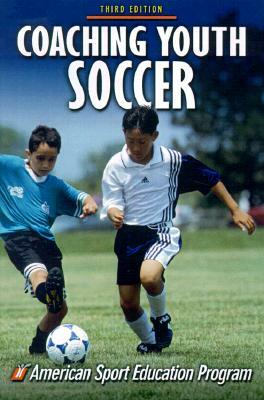 Soccer continues to be one of the most popular youth sports, with thousands of youth teams throughout the U.S.. Coaching Youth Soccer gives coaches all the information they need to build successful teams. Parents of young players will also find information to help their 6- to 14- year old athletes learn and enjoy the game.